#Renewable #energy in #Ukraine is currently experiencing a real #boom. The #Canadian #company #TIU intends to #construct 5 #solar #power #stations in #Dnipropetrovsk, #Kherson and #Mykolaiv regions by June 2018 with a total project worth of #EUR 80 #million. In particular, the power station in the Dnipropetrovsk region will be located on the premises of the #Nikopol #Ferroalloy #Plant. The Canadian company TIU intends to construct 5 solar power stations in Dnipropetrovsk, Kherson and Mykolaiv regions by June 2018. The total project worth is estimated at EUR 80 million. It is planned to construct one power station in the Dnipropetrovsk region, one in the Kherson region, and three in the Mykolaiv region. The power station in the Dnipropetrovsk region will be located on the premises of the Nikopol Ferroalloy Plant. The power station to be constructed by TIU Canada is expected to have a capacity of 10 MW, as reported in the company’s press release. Nikopol Ferroalloy Plant is the largest Ukrainian enterprise producing silicomanganese and ferromanganese. The plant is controlled by EastOne Group founded in 2007 as a result of restructuring Interpipe Group, as well as Privat Group (both based in Dnipro). The first solar power station in the Dnipropetrovsk region is expected to be commissioned in October-November 2017. Other 4 power stations are planned to be constructed by the beginning of summer 2018. Their total capacity will be 80 MW. TIU is owned by Refraction Asset Management Ltd., a Canadian investment company based in Calgary, Alberta, founded in 2012. The company provides money management expertise focused on security selection in the energy, engineering and technology sectors. It is entirely owned by the founding partners and directors. 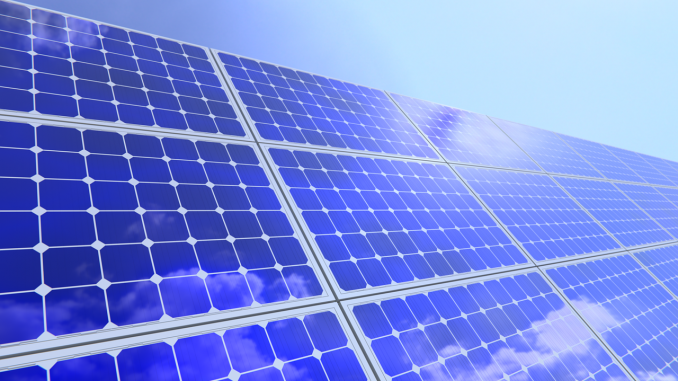 Photovoltaics in Ukraine are currently experiencing a real boom. For example, except for Canadians, a Norwegian company Scatec Solar is interested in investing in Ukraine. It proposed the construction of two solar power stations with a capacity of 60 MW in Ukraine. In addition, 53 companies applied for land allotment for the construction of solar stations in the Chernobyl Nuclear Power Plant Zone of Alienation (Kyiv region). Furthermore, the state-owned Ukrgasbank (based in Kyiv) issued an eco-loan of EUR 530 thousand for the construction of a new solar power station in the Dnipropetrovsk region.